I want to share a simple project that might help you get all your recipes organized if you have tons of them hiding in drawers and books all over the house like I did. I love finding recipes online, printing them, then hanging on the oven range using a magnet. After I used these recipes, I'd stow the worthy ones in whatever drawer had a little open space to spare. I also had a great collection of family recipes scattered throughout the house. It was time to do something to get all of them into one place! All that you will need to do this is a hole punch and a large binder. 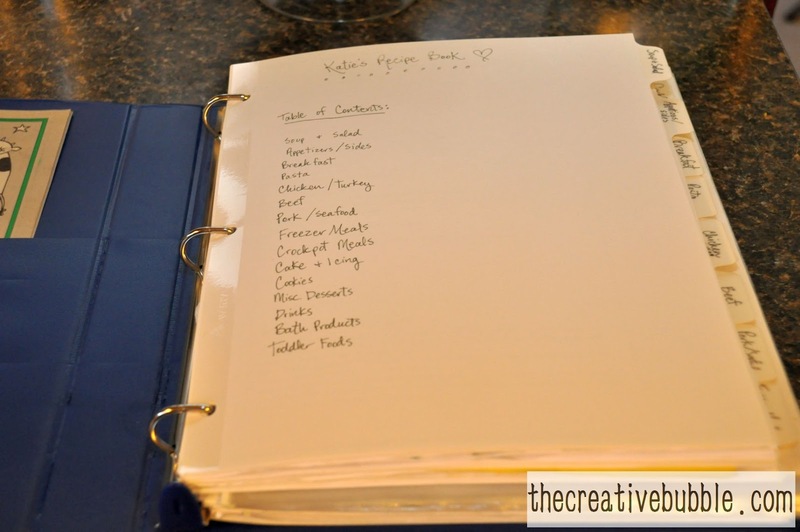 I found a huge binder, because I was rounding up several recipes. 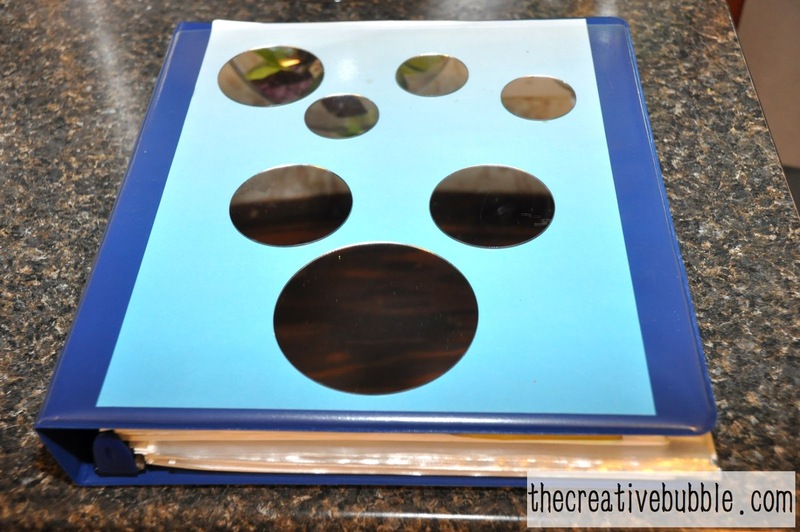 Anytime that you find a recipe worth saving or manage to attain a good, family recipe, all you have to do is get out the hole punch and add it to the binder. 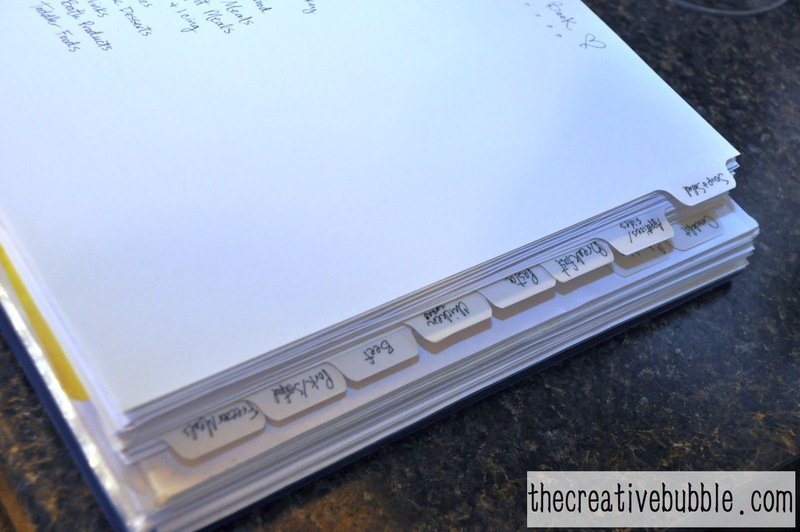 You can also use page protectors and avoid the hole punch all together. They will keep your recipes nice and clean (unlike mine that you see above!). I left some space for additional categories, because I knew I'd want to add more later. It's really nice to be able to refer to a trusted family dish or an awesome, new internet find. It makes dinner time a lot easier! Now that my husband is dabbling in gluten-free and dairy-free foods, I will be adding that tab in the book, too. I really think I could have made the book a bit cuter, but maybe that will happen later. 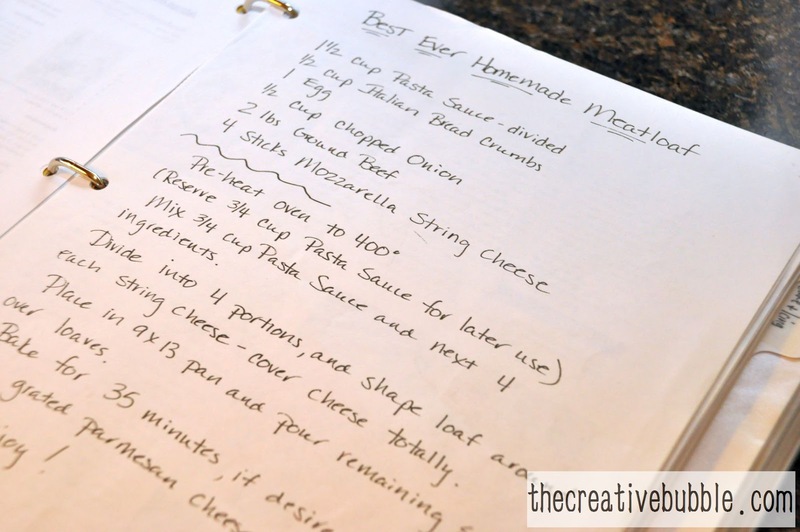 Do you have a homemade recipe binder? What are some of your favorite recipes in your book?